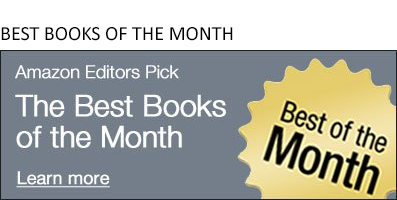 One of my favorite books this year is My Year of Rest and Relaxation by Ottessa Moshfegh, but you might not realize that if you read the Best of the Month review that I wrote for it. The review begins, "Not a whole lot happens in Ottessa Moshfegh’s novel. If that sounds like a deal breaker, consider yourself warned." I've never written such an overt warning into a BOTM review, but I felt it was the right thing to do--because, while Moshfegh is an extremely talented writer, one of the most exciting to come along in a while, she isn't for everyone. Her humor is dark, the kind that just won't jibe with some people, and she has a particular view of the world that will resonate with some and turn off others. There's nothing wrong with readers who don't get her, but those who do will likely really get her. So we picked Moshfegh's new novel as our July spotlight pick. If I were to affix a warning label to the book itself, it would read: likely to cause strong reactions in readers, but reader reaction will vary. Chris Schluep: Please discuss your character’s—and your—obsession with Whoopi Goldberg. Ottessa Moshfegh: I've always been in awe of Whoopi Goldberg. I've never met her in person, but her appearances on film, specifically, have always struck me as miraculous. Her image, attitude, and--more abstractly--her vibration on screen, stands out to me as hilariously and charmingly unpretentious. No matter what her role, she radiates a sense of authenticity, and she cuts through the fiction of a scene as though to say, "This is a film set, and the movie is make-believe, but I am real." For my protagonist, the power of Whoopi Goldberg's unpretentiousness is proof of a deeper humanity beyond the morés and limitations of polite society. I guess I feel the same way. CS: Your protagonist is beautiful and has an easy job, and she wants to sleep all year. She could be hated for these things, and sleeping all year offers few natural plot points. Do you purposely set up hurdles for yourself to jump over as a writer? OM: I wouldn't say I set up hurdles for myself, exactly, but I am interested in challenges and do gravitate toward characters and scenarios that are often tense and uncomfortable. Rather than jump over these contentious aspects of a story, I like to dig in; the challenge becomes the very material for the book. I think there's something kind of funny about wanting to hate a character for being lucky and lazy. For me, there's an element of envy in the resentment I'd feel toward a character like this, if I met her in real life. But in the book, I tried to make her vulnerable enough, and relatable to a degree, that the reader would be able to find some compassion for her and her story. CS: There’s some imagery at the end of the book—I won’t be specific—that the entire book is moving toward. You realize that once you get there. Did you have this in mind when you first started writing the book? OM: I didn't have the image in mind from the get-go, but the direction of the book became clear to me once I understood that my character's year of sleep begins in 2000, ending in 2001. This was a pregnant year in New York City, although nobody knew it. Setting the book at the turn of the millennium was part of the tension for the premise. CS: Why did you move to the West Coast, and what has that meant to your writing? OM: I initially moved to Los Angeles because I was curious about the culture. Having lived in New England and New York, I'd grown kind of tired of the snowed-in winters, the drama of it all, and the specific pressures of the East Coast. I wondered how I'd respond to a sunnier atmosphere. It was pretty liberating to get to LA and feel completely invisible, a stranger in a strange land. It was like moving to another country. I think it inspired me to push my writing into weirder and more personal territories. I still love the northeast and miss it all the time, but I find my naturally tightly-wound mind does well in a more relaxed environment. CS: What are you writing next? OM: I'm doing research for a new book. It's been really exciting to give myself the time to delve into nonfiction, specifically cultural histories of China and America at the turn of the twentieth century. The book I am devising is a somewhat historical novel about a Chinese immigrant to the United States in the early 1900s. I'm at the beginning of it, following breadcrumbs, and watching the story weave itself together. It's a delicious place to be in a project, before the grueling work of actually writing begins. So I'm taking my time.